Most Nurses deal with patients every day, particularly in a hospital setting. You are on the go the moment you enter the hospital and often don’t have time to catch a breath, let alone grab a sandwich or take care of personal needs. Because you’re so busy, you may not have the time to really connect with each patient. No one is blaming you. You’re most likely overwhelmed and focused on doing all the details your job entails. This article may be helpful in guiding you to understand what the patient is looking for from you. Let us know your thoughts. To be successful in their role, nurses have a long list of skills and traits they must possess. Yet some days it can feel as if they need one more: mind-reading. Patients aren’t usually the best at communicating what they want. This is somewhat understandable, however, since it’s intimidating to be in any unfamiliar situation, let alone one as stressful as a hospital stay. Most of your patients will have limited to no clinical knowledge, which means they might not even know what they don’t know. While they may not fully comprehend the complexities of every procedure or medication, the patient doesn’t want to be kept in the dark about their treatment. You certainly don’t want to overload them with terminology or the mechanics behind each medical device but you also want to keep them as informed as possible. It’s reasonable to assume “ignorance is bliss” for patients (especially if their treatment is particularly overwhelming) but trying to protect patients by restricting what is communicated regarding their care prevents them from making the best decisions about their treatment. Make sure the lines of communication are open between the care team and the patient as well as their family. If lab results indicate a change in the patient’s condition (be it minor or major, negative or positive) let the appropriate care team members know as soon as possible so they can inform the patient. If a procedure will be delayed, inform the patient and give them your best estimate of how long they will have to wait. Every member of the hospital staff has a busy schedule from the moment they walk in the door each day to the moment they leave. Nurses have many patients for which they are responsible, so sometimes small courtesies can be sacrificed in the interest of efficiency. Though the nurse may not intend to offend a patient by quickly entering a room, checking their vitals and moving on, the patient may not realize the full scope of the nurse’s responsibilities and interpret this as disrespectful. Patients also want to be consulted on their condition and have their concerns acknowledged. While sometimes patients may feel it necessary to share information that isn’t necessarily relevant to their treatment, they’ll still appreciate you taking the time to listen to what they have to say. Plus, a minor complaint they happen to mention in passing might indicate a more serious issue that may have gone unnoticed had the patient not brought up the symptom. Inviting patients and their families to be actively involved in making decisions about the patient’s treatment is an important part of patient-centered care. Provide patients with helpful resources and tools and help guide them through the decision-making process. Patients want to feel as if they are truly a part of their care team and aren’t simply following orders over which they have no say. Ensure the patient feels comfortable asking questions. Encouraging patients to ask questions allows them to feel more in control of their care and helps prevent potential treatment compliance issues due to misunderstandings. 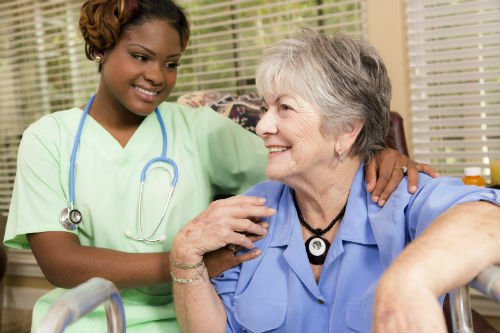 Ultimately, your goal as a nurse is to provide the best experience for your patients. You’re committed to administering high-quality care and being candid, showing respect and encouraging involvement can also help increase patient satisfaction.